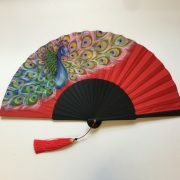 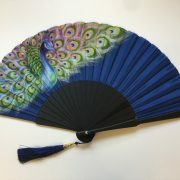 Hand painted silk fan leaf and wooden black sticks. 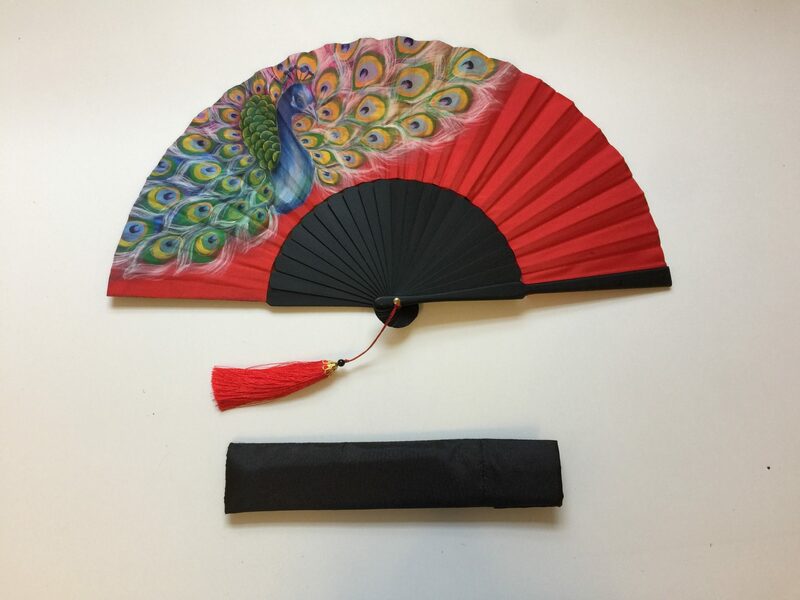 It comes with a black pouch. 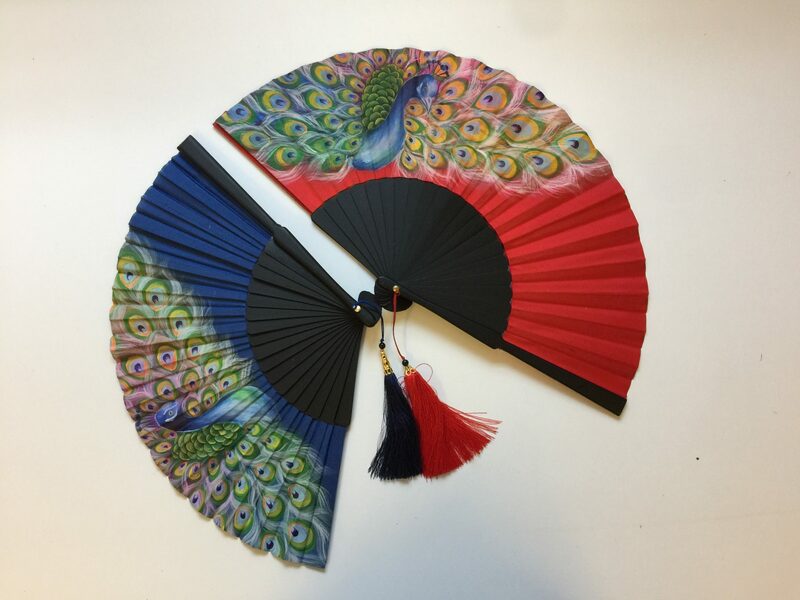 Wiracana took the traditional Balinese fan making craft and brought it to new life, continually improving the quality of their products thanks to the latest technologies. 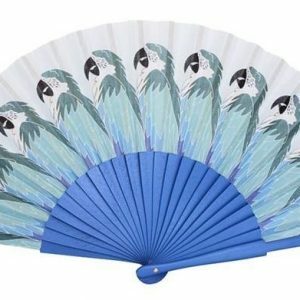 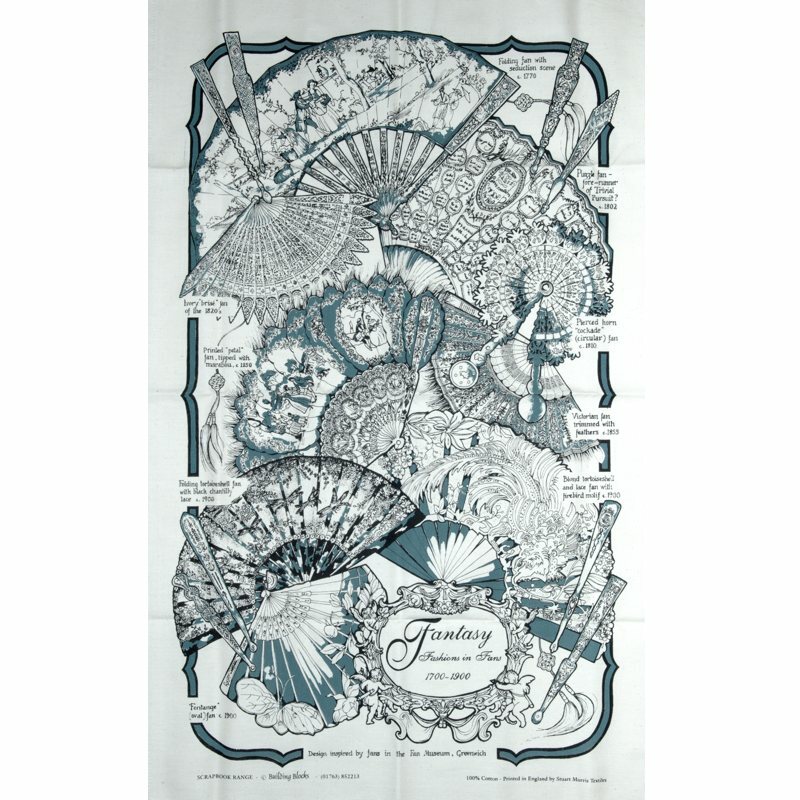 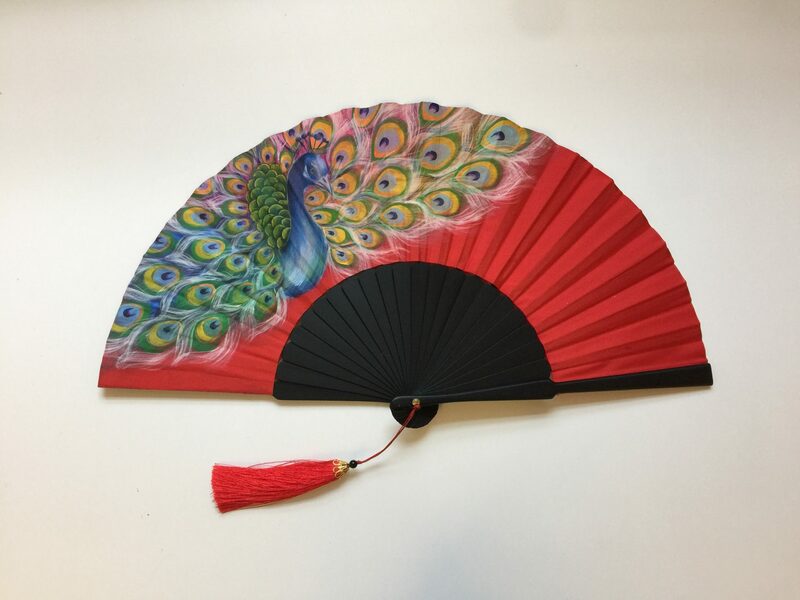 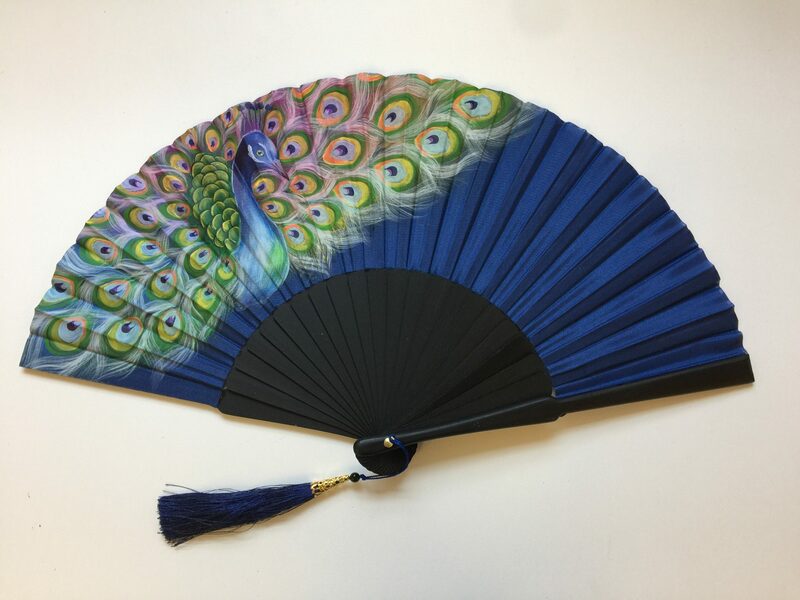 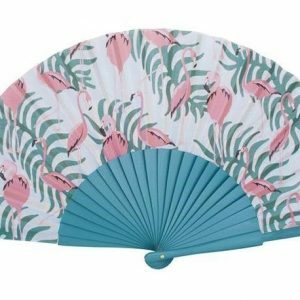 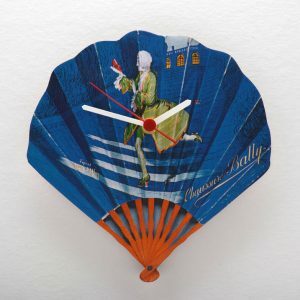 The top of their range are the hand-painted silk fans; they come in an endless variety of colours and designs, and are the perfect example of how high tech and traditional craft work together to deliver the best possible product. 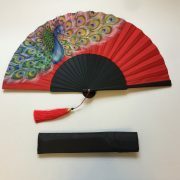 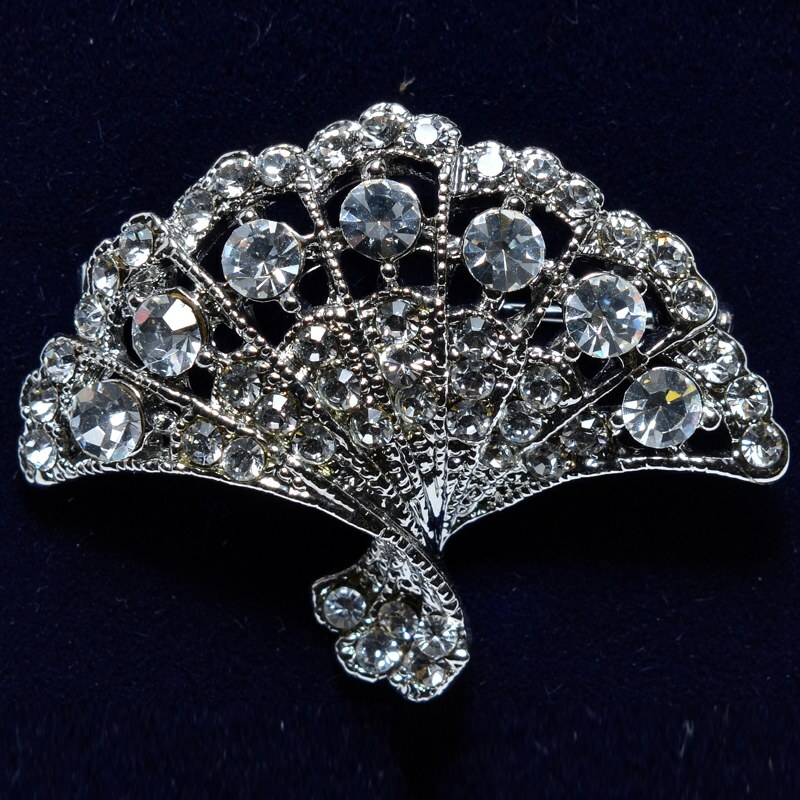 We have a variety of different designs in stock in the shop. 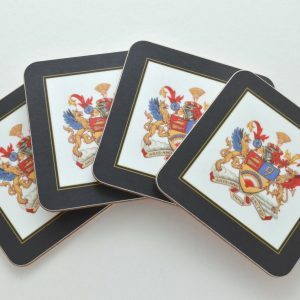 For more information call us on 0208 305 1441.